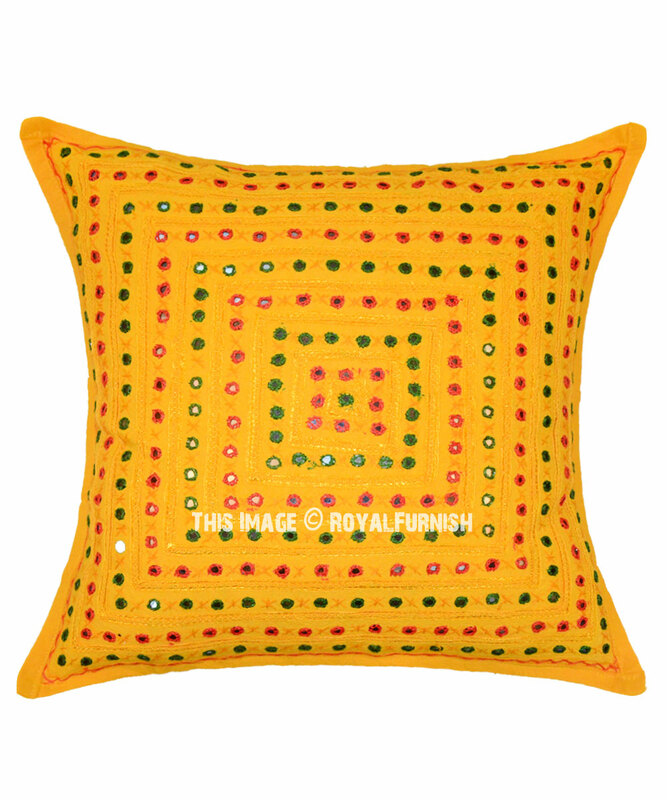 Brighten up the dull ambiance of your living room with this vibrant India handicraft hand mirror embroidered throw pillow which features small mirrors embroidery work. 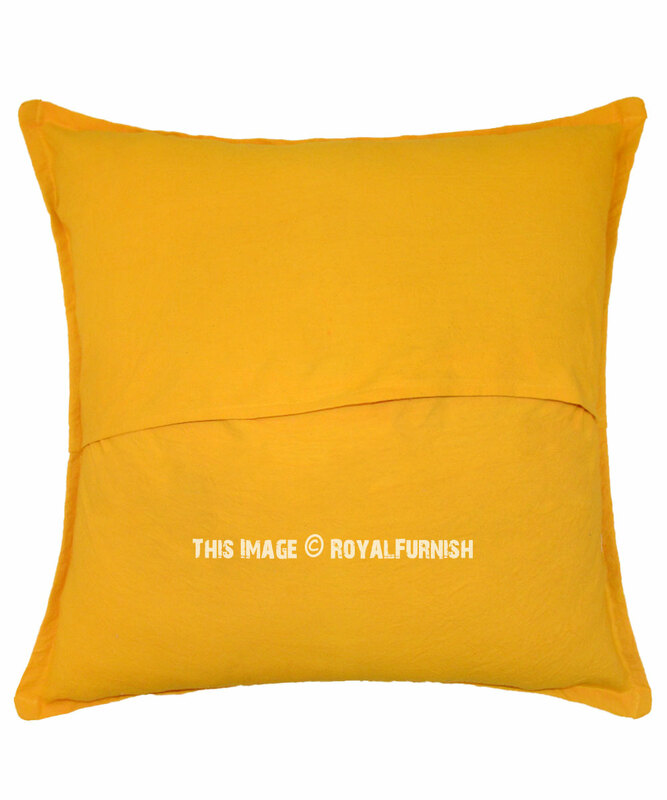 Make fit it with your home furntiure color to give a rich look not even to furniture but also to home interior. 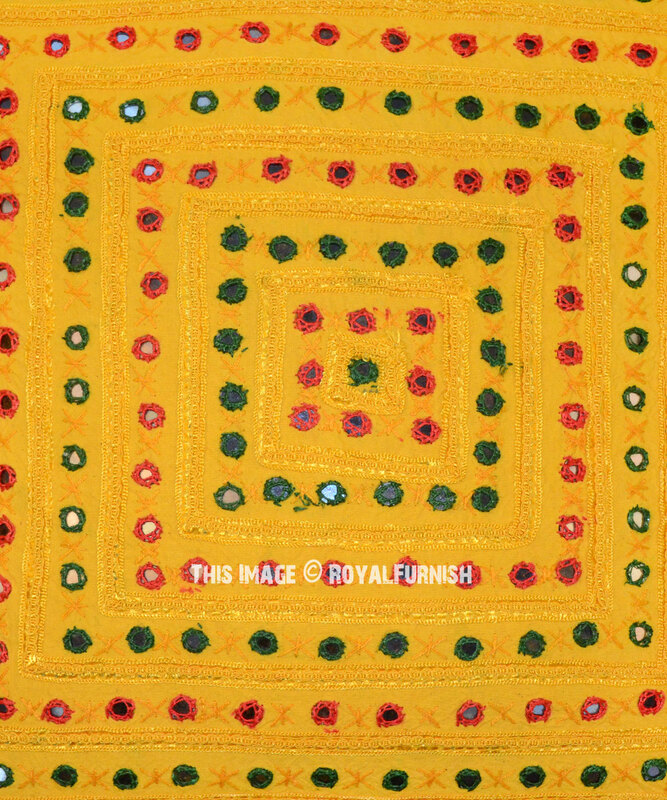 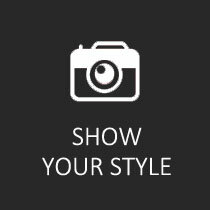 The intricated had embroidery design will not fail to leave a lasting impression on your guests. 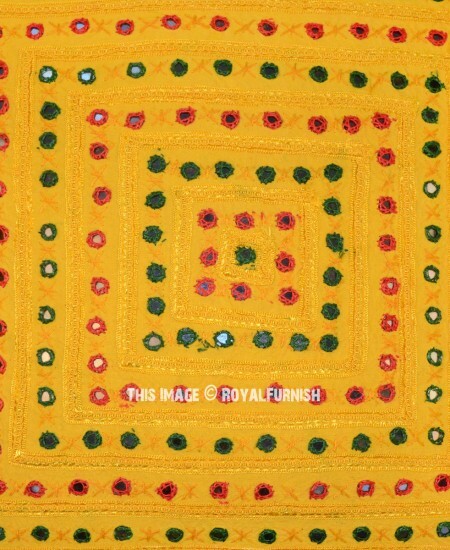 It is antique and rarely find such fine mirror work cushion cover anywhere. 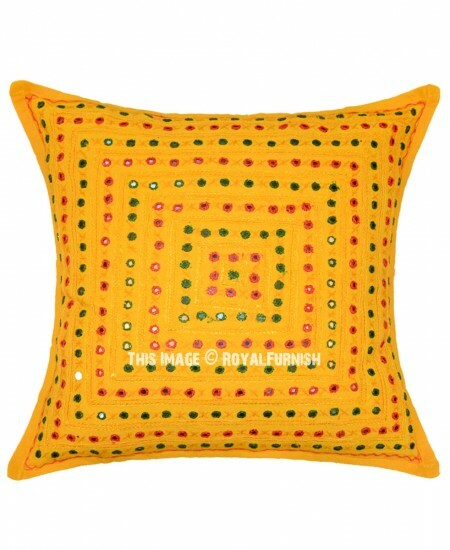 Decor your home furniture with Indian handicraft throw pillows. 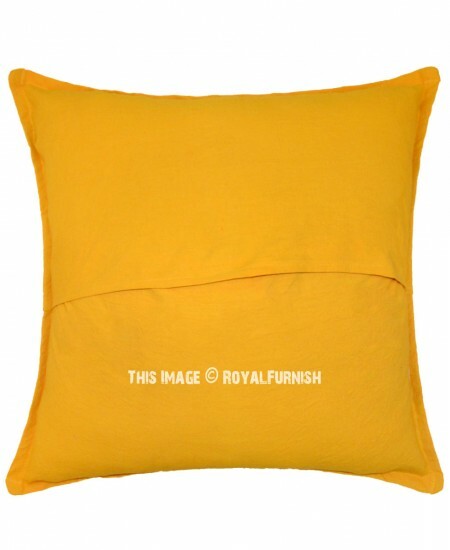 24" Yellow Large Hand Mirrored Embroidery Accent Throw Pillow Case added to the cart!